Student Support Services (SSS) is a 100 percent federally funded TRIO Program sponsored by the U.S. Department of Education ($300,630 annually). The College of St. Scholastica SSS program serves 175 SSS students each year. The federal TRIO programs are educational opportunity outreach programs designed to motivate and support students from disadvantaged backgrounds. 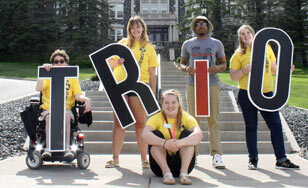 TRIO includes seven outreach and support programs targeted to serve and assist low-income, first-generation college students and students with disabilities to progress through the academic pipeline from middle school to post-baccalaureate programs. Student Support Services (SSS), a TRIO program, contributes to The College of St. Scholastica's mission to provide intellectual and moral preparation for responsible living and meaningful work by providing a collaborative and supportive environment inclusive of diverse backgrounds and learning styles. SSS advocates for the needs of low-income and first-generation students and students with disabilities in their pursuit of an undergraduate degree. You may be eligible if you have documented financial needs, a documented disability, academic need, or neither parents graduated from a four-year college. 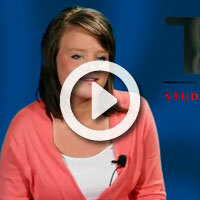 Information for current TRIO students from the SSS Student Handbook, SSS Book Listing, and more! Stay connected by registering with the Alumni Office Registry, Alumni Career Network, and the MN TRIO Network.